Island in the ocean during a thunderstorm. Here there is a source of fresh water, mushrooms and grass grow. A young oak tree grows in the center of the island. 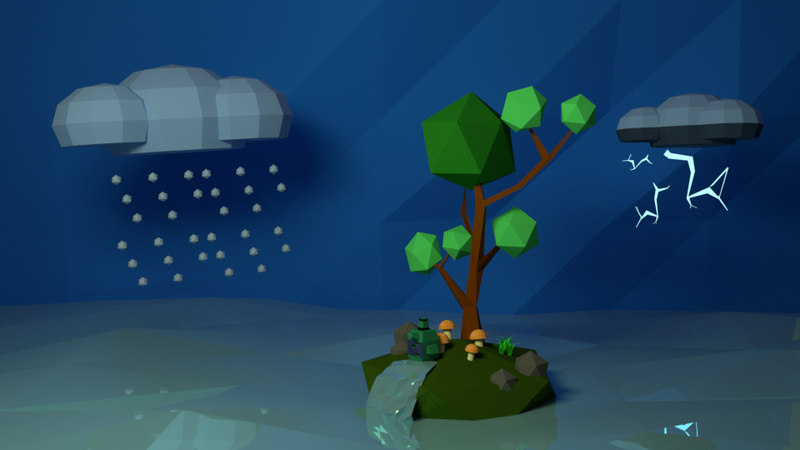 Made in a low poly style. Suitable for registration of children's literature. For rendering, Blender's 3D editor was chosen, renowned for its simplicity and convenience.